MOSCOW, January 11. /TASS/. Russia’s state space corporation Roscosmos and the Rocket and Space Corporation (RSC) Energiya have launched a project to design the concept of a new transport system for a manned lunar mission, a rocket and space industry source has told TASS. "Work has begun to design the concept of a transport system involving a modification of a Soyuz-MS spacecraft for missions to the Earth’s natural satellite. The first working conference of Roscosmos and RSC Energiya engineers on the issue took place on Thursday," the source said. According to him, the preliminary concept envisages sending a spacecraft to the Moon from the orbit of the International Space Station (ISS). "The transportation module of the new system would include the special modification of the Soyuz-MS spacecraft and a booster, which are to be delivered to the ISS atop Soyuz-2.1a carrier rockets in two launches. 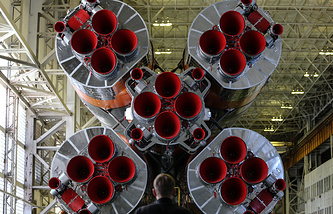 The transportation module will be assembled in space under the control of the Russian crew of the ISS," he continued. 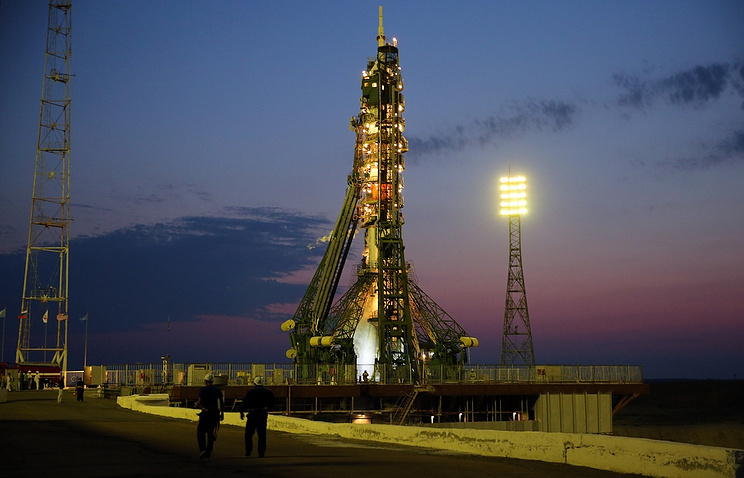 The official did not elaborate on how the Soyuz spacecraft should be modified to perform a mission to the Moon, as well as on other technical specifications of the new system. "It is too early to speak about such details," he said. Roscosmos Chief Dmitry Rogozin said in an interview with Rossiya-24 TV Channel on Thursday that NASA had requested Russia’s State Space Corporation Roscosmos to develop the Soyuz spacecraft version for flights to the Moon. "They are requesting us to develop the Soyuz spacecraft that could fly to the Moon and back to create a backup space transport system," Rogozin said. The US has earlier announced its Deep Space Gateway program with international participation, which envisages building a lunar-orbit space station to regularly accept spacecraft from the Earth. In his earlier interview to TASS, Rogozin said Russia would participate in this program only on the parity basis. Russia also runs its own lunar program. The first stage of it envisages the launch of unmanned missions, followed by manned orbital missions with subsequent moon landing and the creation of a lunar base.